Give him a ring to treasure. 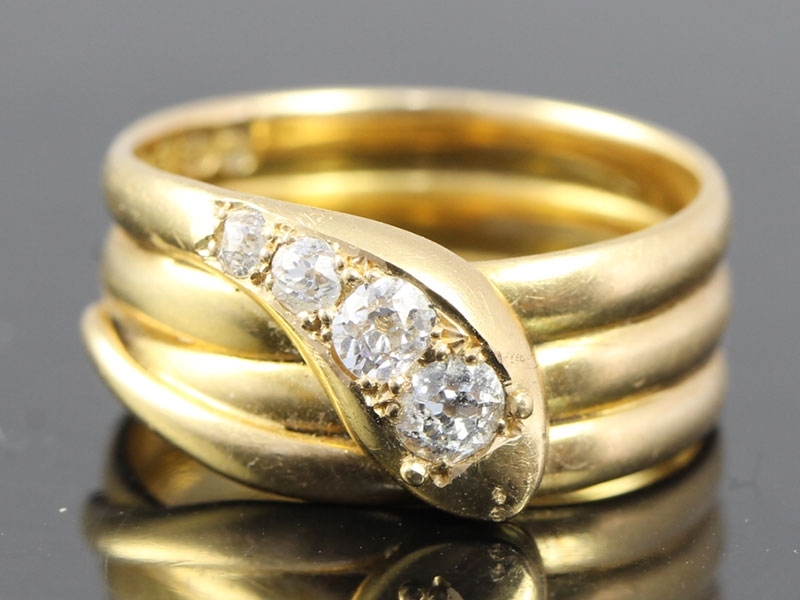 This stylish and stunning 18ct yellow Gold men's ring features three dazzling 20 point Old Brilliant Cut Diamonds. An unforgettable gift for an unforgettable man. 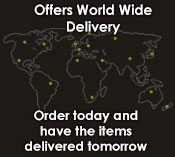 A gift for the man in your life. 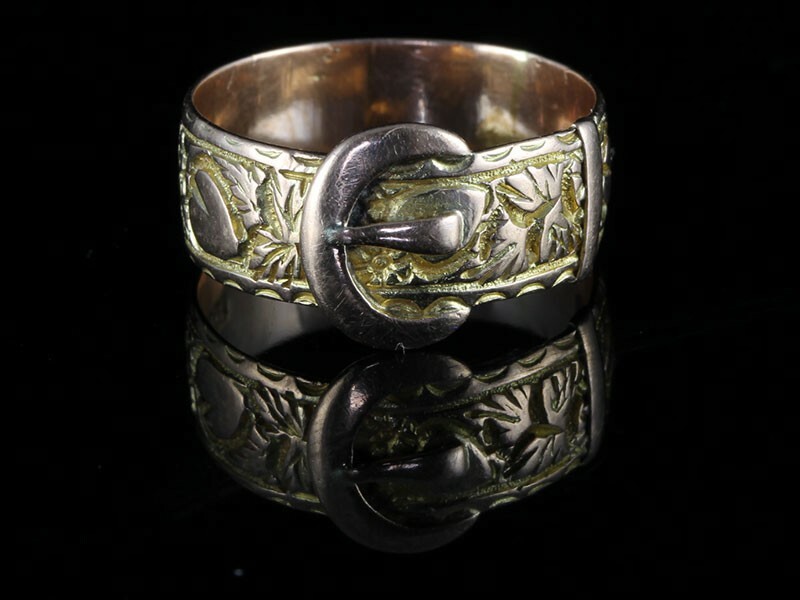 Beautiful ornate 15ct Rose Gold buckle ring complete with a Full English Hallmark. 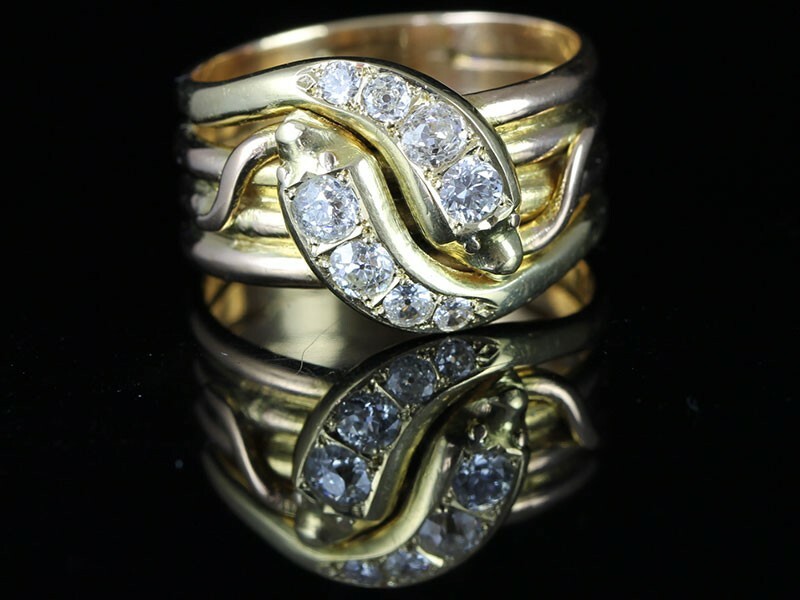 A georgeous heavy 18 carat yellow Gold Edwardian Double Diamond Snake ring. 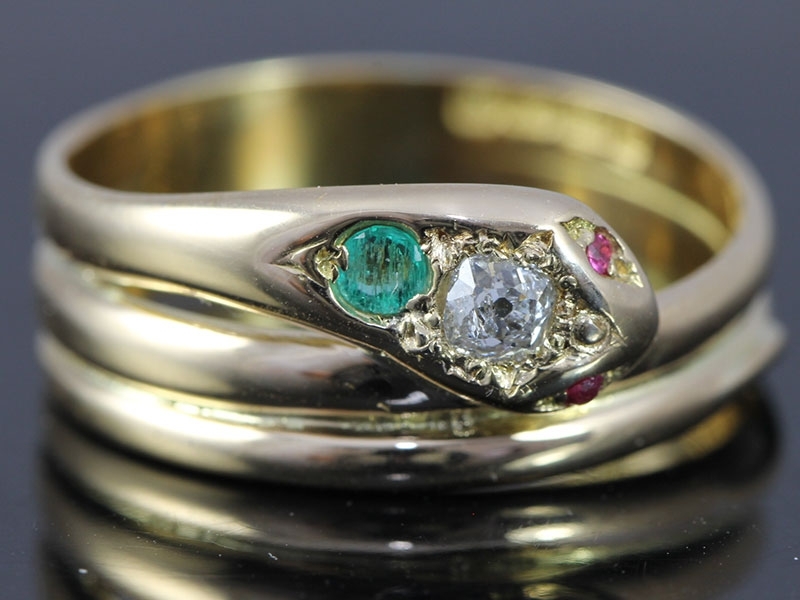 The two snakes are entwined which represents eternal love and friendship. 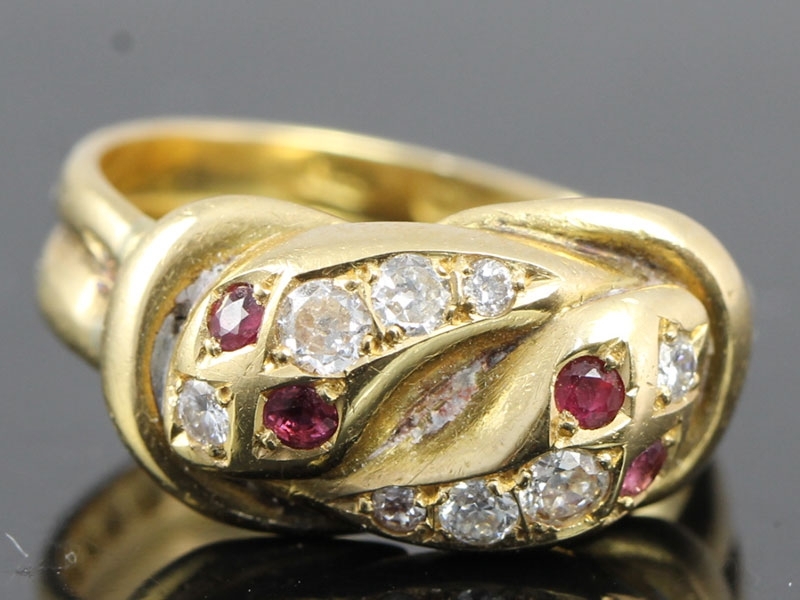 Here is a really lovely example of an Art Deco inspired 9 carat Gold ring which boosts a fabulous 3 carat round Garnet which dispalys a rich and deep fiery red wine colour. 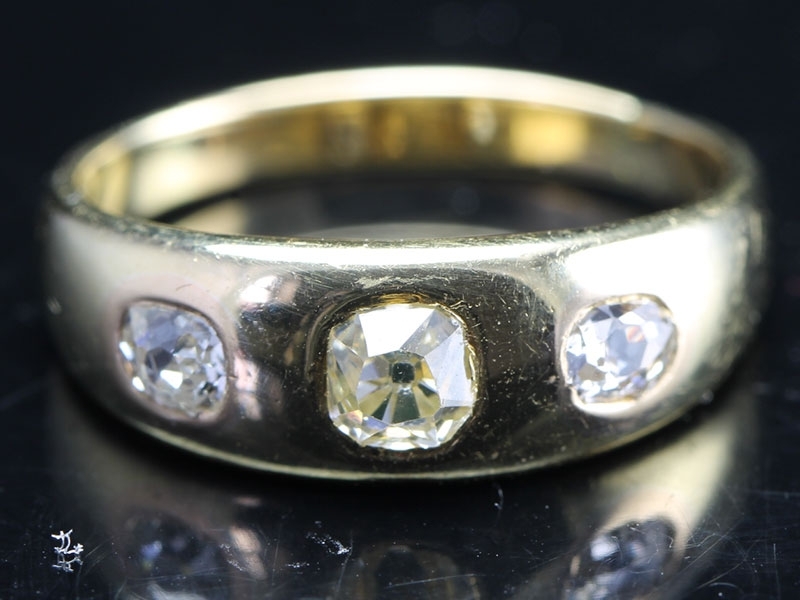 Providing a crisp clear shine sought after by many!! 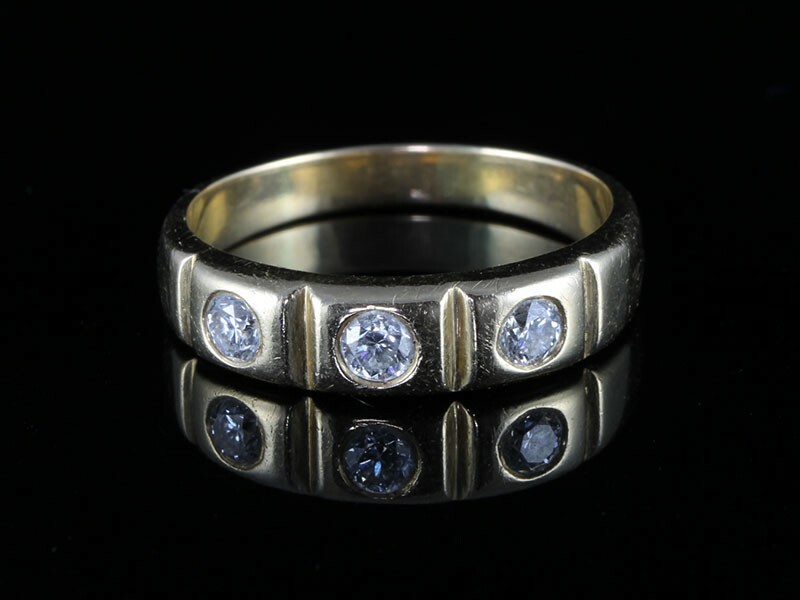 Fabulous Edwardian three stone old mine Diamond gypsy ring, made in a simple, eye catching design. 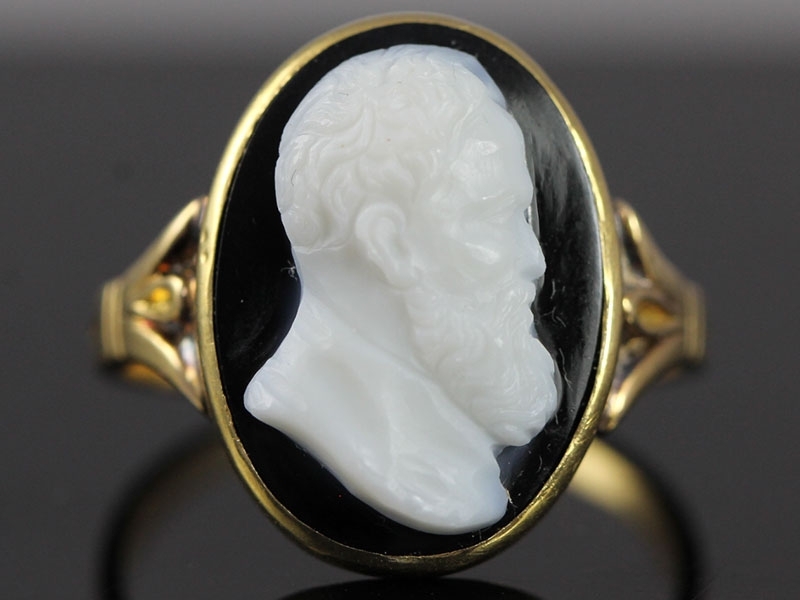 The oval shaped onyx cameo of a Victorian gentleman has a really distinctive look, Circa 1880. 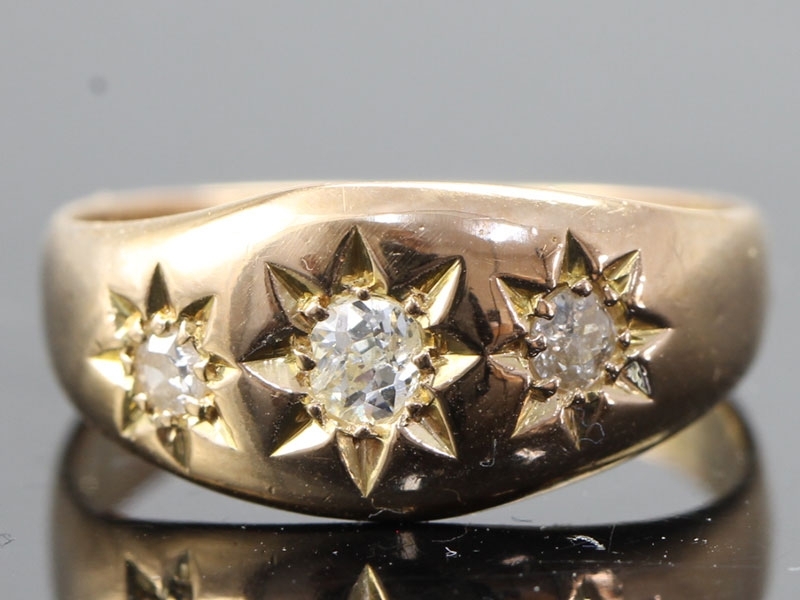 A stunning 15 carat Gold gypsy set Diamond ring dating to 1914, which is in crisp original condition. 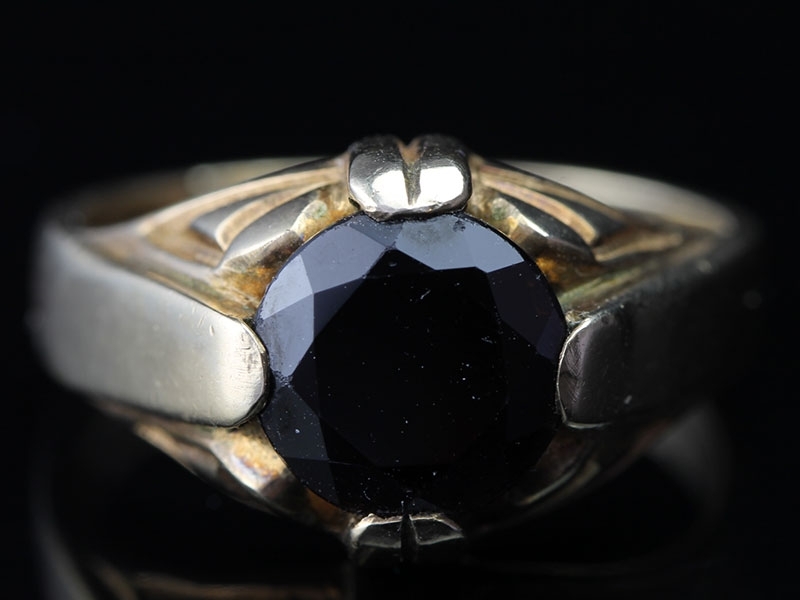 An Edwardian Snake ring symbolises ones eternal love and also wisdom. This would make fantastic gift for that special someone or a great way to remind you of them every time you feel the silky weight of the Gold coils and see the sparkle of Diamonds and Ruby eyes winking up at you. This beautiful single coiled snake is set with four old mine cut sparkling Diamonds it has both wonderful weight and detailing.